Blogs and Posts related to Money Management to grow your money by saving and investing your money in an organized manner. 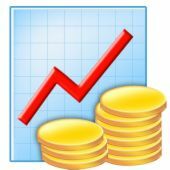 Download Financial Calculators to easily manage your Investments. MoneyManagementIdeas is a repository to help you manage your finances and money. Here you will learn the basics of money management, tips and ideas to save money and investment advices. How you invest your money is an important factor for money management. You may invest in some instruments which may give good returns but interest amount you will get is taxable, hence you will get less returns. There are several factors that need to be considered before investing your money. Objective of this site is to help you grow your wealth depending on your needs and risk appetite. Download free financial tools and calculators to manage your savings and investments. These tools will help you manage your investments better and to calculate actual maturity amount.